Have you been doing some research of your own, trying to find a smart, agile, full-service firm that provides inventive solutions at reasonable prices? Congratulations, you’ve found it. 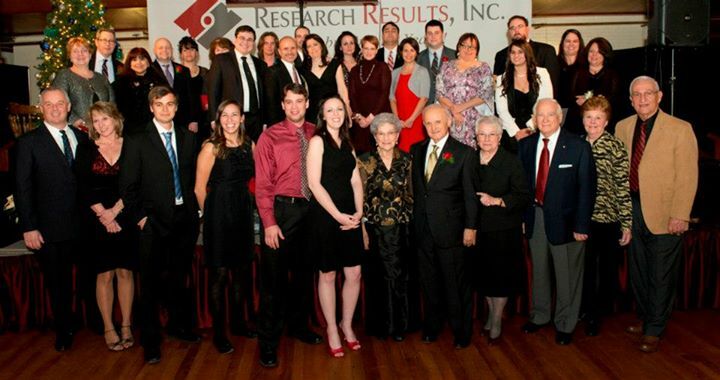 For 30 years, Research Results has been dedicated to solving our client’s research needs in the most practical, affordable way. Using best-of-breed technology that incorporates the latest industry tools enables us to tackle virtually any research problem. Our technology infrastructure stands up against companies that are ten times our size (and will charge you five –to– ten times as much for it)! Having the right tools for the job is only part of the equation. The success of every project that we engage in ultimately depends on people. So we work hard to make sure that we employ and retain the right in-house talent, then assemble a team that’s just right for your specific project. Because we view you as a long-term business partner, our solutions are designed with the big picture in mind. Even with more than two decades of experience, we make no assumptions. We take the time to get to know your business—your people, your goals, your marketplace—so that we can develop solutions that are cost-effective and achieve maximum results. Giving us an extra-broad perspective,we have served a variety of industries over the years, including: Apparel, Business Services, Broadcast/Cable, Financial Services, Health and Health-related, Market Research, Non-profit, Publishing, Technology, and more. We take pride in our close-knit culture and our undying focus on relationship building. We don’t want to be your vendor, we want to be your partner. And we don’t want our staff to feel like employees, we want them to feel like part of a big family. We work hard, we play hard, and for 30 years, we’ve stayed true to our philosophy. We’re partners and family, and it shows.